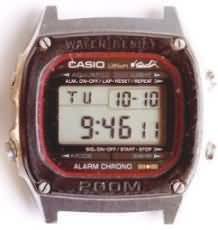 The best chronographs are in LCD digital quartz watches, which are inexpensive and can be replaced. 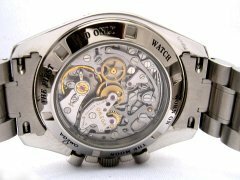 Analog chronographs, in mechanical and in quartz watches, are much more expensive to buy and more difficult to repair. If you must have one, the best one to consider is the original Omega Speedmaster "Moon Watch." This is the ONLY Speedmaster I would consider. Here is a nice photo of a Speedmaster. I found this photo on the internet and edited it for this page. Notice the micro-regulator on the balance bridge. 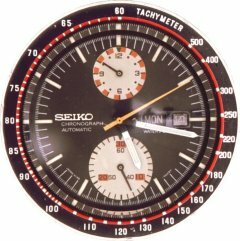 I would not consider a chronograph without a micro-regulator unless the price were very low. 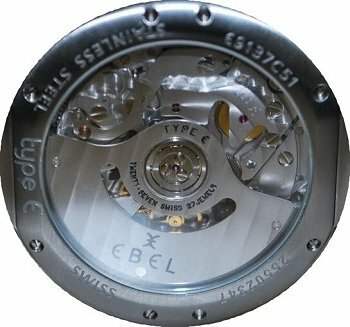 Chronograph watches with automatic rotors, day and date mechanisms, get really complicated and difficult to service. Consider the Lemania 1350, also known as the Ebel 137. Instead of having the chronograph added to the watch as a separate layer, as in the Speedmaster, the parts are integrated into the watch to eliminate the extra layer and make it thinner. 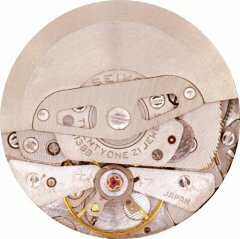 When I asked a watchmaker about this, he said this watch is so complicated that no one should attempt to service this watch without the factory service manual. 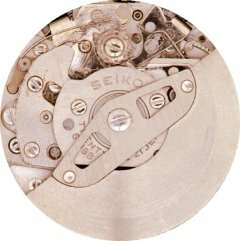 This mechanism, also used by Breguet, has 360 parts. The following photo is also from the internet, modified for this page. This is why the only chronograph I recommend is the Omega Speedmaster Moon Watch. 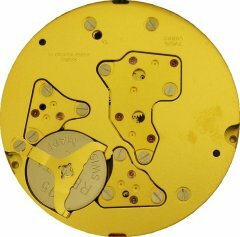 Below is a Citizen quartz analog chronograph. 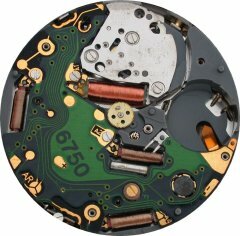 This watch has four independent motors (see the four coils) that are controlled by a computer in the circuit board. Anyone interested in trying to repair this one? 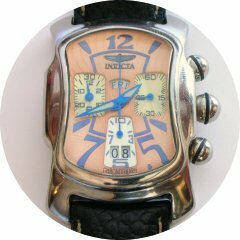 Below is a newer watch, marketed by Invicta. The mechanism was made by Rhonda, one of the Swiss Ebauche producers. It appears to be well made, without extensive use of plastic parts. It has an unusual two-digit date mechanism. I think it is attractive and, in its solid stainless steel case, offers excellent value, particularly when compared to a comparable mechanical watch with chronograph.